Below are just some of the questions that I found interesting and ones that can give a good workout for our brain. Jess wants 200 ribbons of length 110 cm for a party. However, the ribbons were sold at 25 m per tape. How many tapes will Jess need? 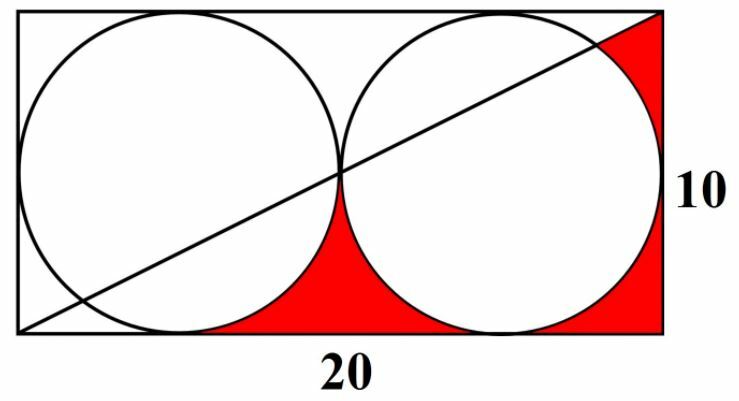 Find the total area of the red regions in the diagram below. 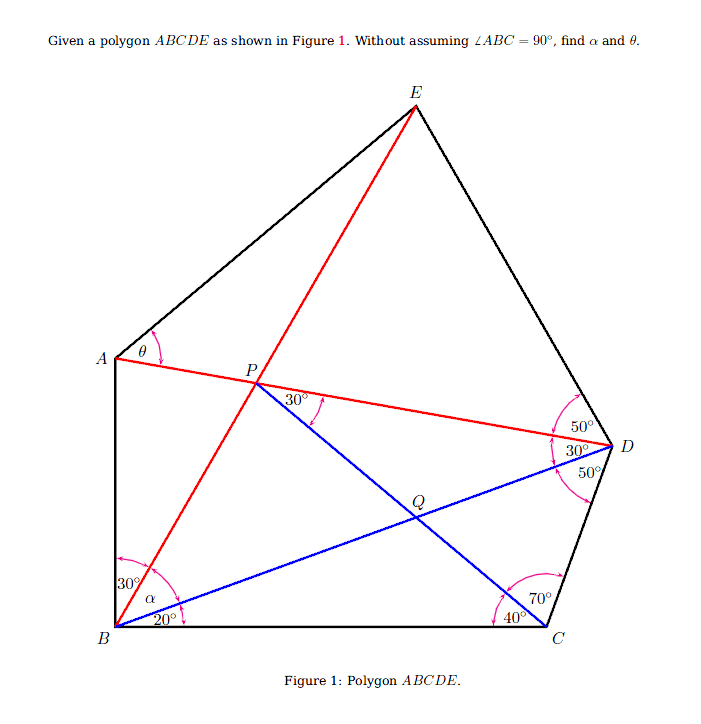 Answer is 19.504 square units. Answer is α = 40 degrees and θ = 50 degrees.